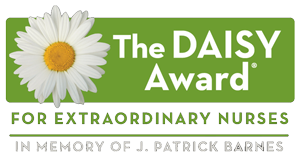 The Vermont Oxford Network (VON) has awarded a “State of Excellence in Education and Training for Infants and Families Affected by Neonatal Abstinence Syndrome” designation to Garrett Regional Medical Center. The award recognizes that at least 85 percent of multidisciplinary care teams participating in the Maryland Patient Safety Center’s “Neonatal Abstinence Syndrome Collaborative: Improving Care to Improve Outcomes” completed universal training for care of neonatal abstinence syndrome (NAS). Maryland Patient Safety Center partnered with VON to provide 32 hospitals universal training designed to standardize care policies. This concept has been proven to reduce the length of hospital stay and length of pharmacologic treatment while increasing family satisfaction. Approximately, 12 registered nurses of participated in the training program for care of neonatal abstinence syndrome. 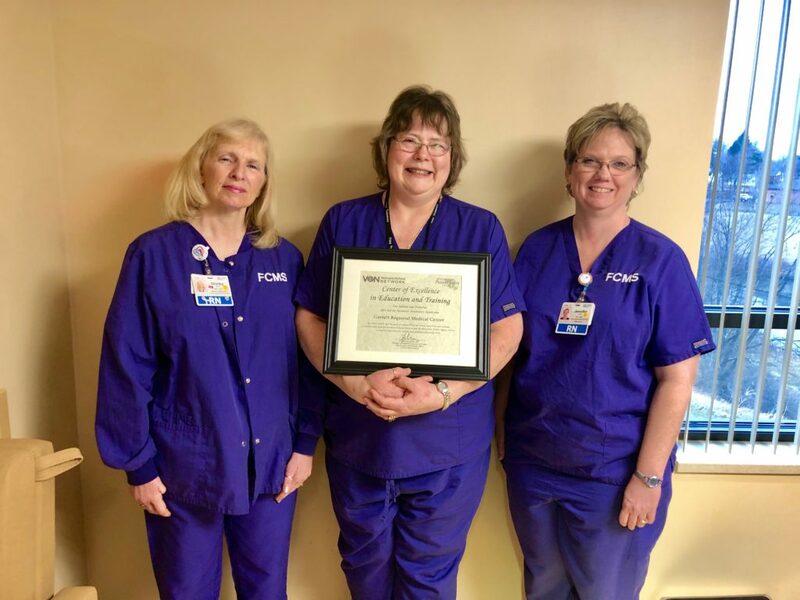 Pictured left to right are Shirley Rounds; registered nurse; Charlene Bennett; Director of Family-Centered Maternity Suite; and Jennifer Michael, registered nurse. “We are already seeing fewer transports of infants, which means families get to stay closer to their local support system, and we expect to see outcomes improve even more over time,” said Bonnie DiPietro, Director of Operations for the Maryland Patient Safety Center. Over the collaborative’s two years, participating Maryland hospitals decreased the average length of stay of infants with NAS treated pharmacologically by three days, and decreased transfers out of the birth hospital by 51.6 percent. Additionally, the number of infants with NAS treated pharmacologically discharged home increased by 20.8 percent and the number of infants receiving mother’s own milk in the twenty-four hours preceding discharge increased by 18.3 percent. “Congratulations to all the care teams across the state of Maryland who have shown how dedicated the state is to caring for the most vulnerable population affected by the national opioid epidemic,” said Jeffrey Horbar, Chief Executive and Scientific Officer of VON. As a global leader in data-driven quality improvement for newborn care, VON leads multi-center quality improvement collaboratives and provides resources to help interdisciplinary teams improve on the most critical and complex challenges facing newborn caregivers. While more than 250 centers nationwide have completed VON’s universal training for NAS, Maryland is the first statewide collaborative to achieve the Excellence in Education and Training distinction.